Home / Posts / Tips / Interviews / How Can I Experience being an Animal Keeper in Florida? Wild Florida Wildlife Park has some fabulous animal encounters where you can meet some of their most adorable animals, feed them their lunch or even be a Keeper For The Day – every animal lover’s dream job! Hi Kylie! Why don’t we kick things off by hearing your funniest story about the animals at Wild Florida Park? Well working with animals definitely keeps you on your toes, and they give us a few good laughs as well! One of the funniest things to watch is when we give our lemurs “puzzle feeder toys” where they have to solve a puzzle to get their food. One lemur is really great at figuring these out, and another one is great at waiting for it to get figured out – and then taking the food without doing any of the work! Most of the time the food will fall to the ground and the other lemur will be sitting there waiting for it. It makes me wonder which lemur is actually smarter – the one who solves the puzzle, or the one who just sits back and waits for the reward?? Which of the animals is the most mischievous? Definitely the raccoons – they will try to get into anything and everything so we can never turn our backs on them! We have to make sure we have fun enrichment toys to distract them before we clean their house each day, because otherwise they think our cleaning tools are fun toys too! They are very smart and curious animals who use their hands to investigate everything, and it’s pretty funny to watch the way they feel around every new item that we give them to play with. What’s your favourite thing about being an animal keeper? My favorite thing is the relationships we build with each animal. They all have their own personalities, and learning all of their likes and dislikes is a lot of fun! Every morning the first thing we do is walk through the park and check on everyone; I always love saying good morning to them and they are just as excited to see us. …And what’s the least enjoyable part of the job? Being a animal keeper is much more than just hanging out with animals all day. I would say about 90% of our day is spent cleaning up poop, and while cleaning the exhibits we typically get covered in poop, dirt, clay, hay, and a variety of other unsavoury materials (and if you don’t, you probably haven’t cleaned very well!). Us keepers like to joke that no one wants to sit next to us at lunch because of our smell, but we wouldn’t have it any other way! Which animal at the park is your favourite and why? That’s a tough one! I would have to say our bobcats, Duke and Duchess, because I spent a lot of time raising them. They were only a couple months old when they arrived, so they would come home with me each night after work because they were still eating and growing so much. Having animals go just about everywhere with you creates a very strong bond. They will be a year old this spring, but will always be my babies! Then & Now: Baby bobcat Duke is all grown-up! Are there any unusual animal friendships or love stories at the park? A lot of our exhibits have multiple species in them, all native to the same geographic area. I would say our Africa exhibit is a fun one to see because a lot of times you will see our African Crested Porcupines, Stella and Safari, snuggled up with some of the tortoises that live with them. The porcupines think its funny to stand on top of the tortoises’ shells sometimes too! What animal would you most like to bring to Wild Florida Park? I think an otter exhibit would be lots of fun! Otters can have quite the personalities – and attitudes to go with it – but they are so active and mesmerizing that you could easily watch them playing for hours! 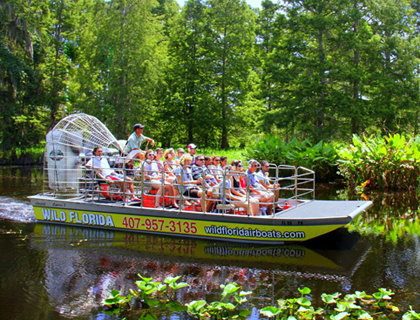 At the Wild Florida Park, guests can take part in a “Keeper for the Day” experience. How does it work? This is a brilliant experience for anyone who loves animals! You check in at 9am and spend the morning with a keeper and a lot of different animals. Then you get to take an airboat ride in the Everglades, have lunch in the wildlife park, and have your photo taken holding Fluffy, one of our alligators. What kind of things can we expect on the Keeper for the Day experience? We want you to experience what it’s like to be a real animal keeper, so you’ll get to see for yourself what goes into caring for the animals here at Wild Florida. The animals usually involved in the experience are the sloths, porcupines, and lemurs – you get to meet and pet them, feed them their morning diets and help with cleaning their enclosures. What other kind of animal encounters can you have at Wild Florida? 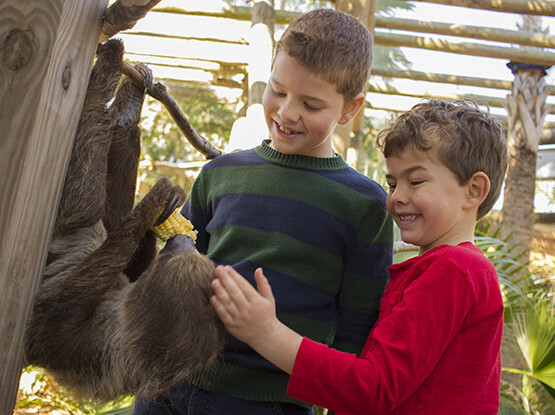 We also have 20-minute animal encounters with either a sloth, porcupine or ring tailed lemur, where you venture into the animal’s habitat for a more up-close personal experience. 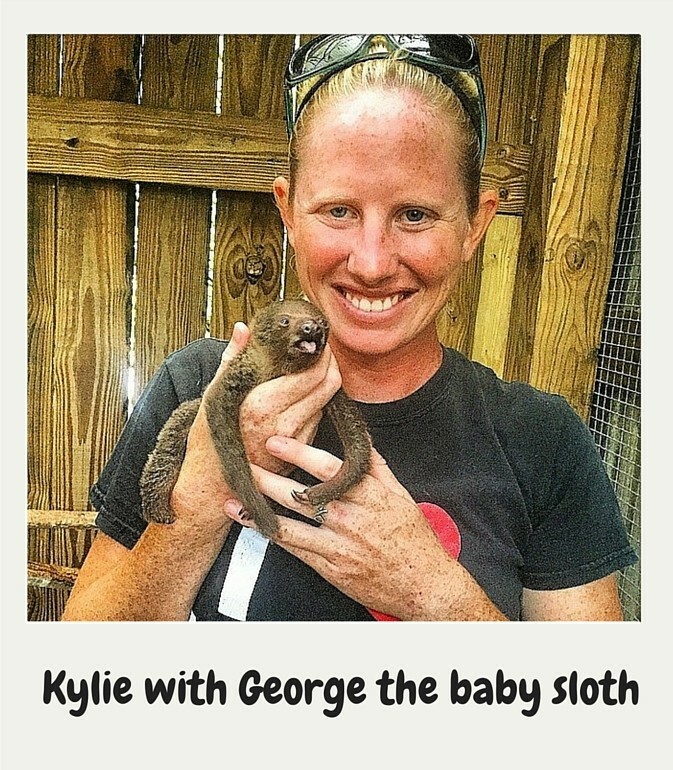 You can take all the pictures you want – #Slothies are a BIG craze right now! – as well as feeding the animals some treats. How do you know if the animals enjoy their encounters with people? We always use positive reinforcement which means if the animals don’t want to do something, they don’t have to. Sometimes an animal won’t feel like participating in the encounters (this especially happens with the sloths! 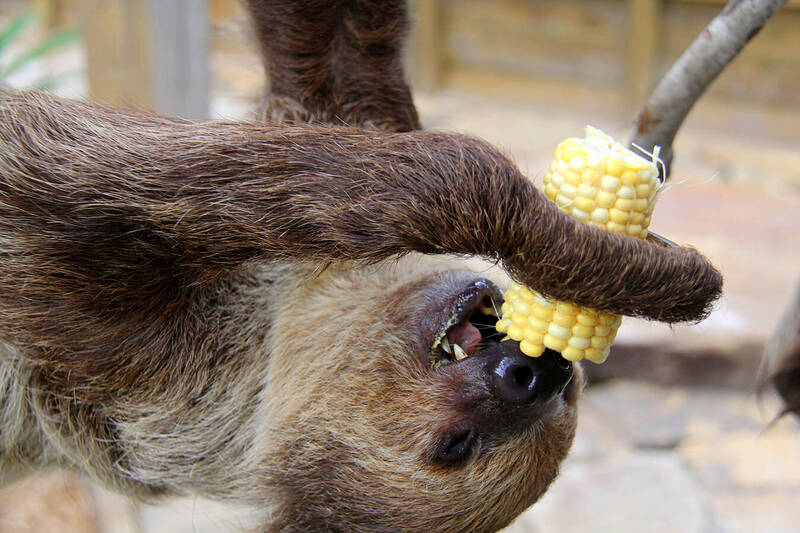 ), so we’ll simply ask one of the other sloths if they want to participate instead. We currently have 3 sloths so if one of them wants to stay asleep we just move on to the next. The animals are usually eager to participate in the encounters, however, because they know they’ll get their favorite treats! This makes the experience more enjoyable for both the animals and the human guests. Do guests ever feel a bit nervous about interacting with the animals? 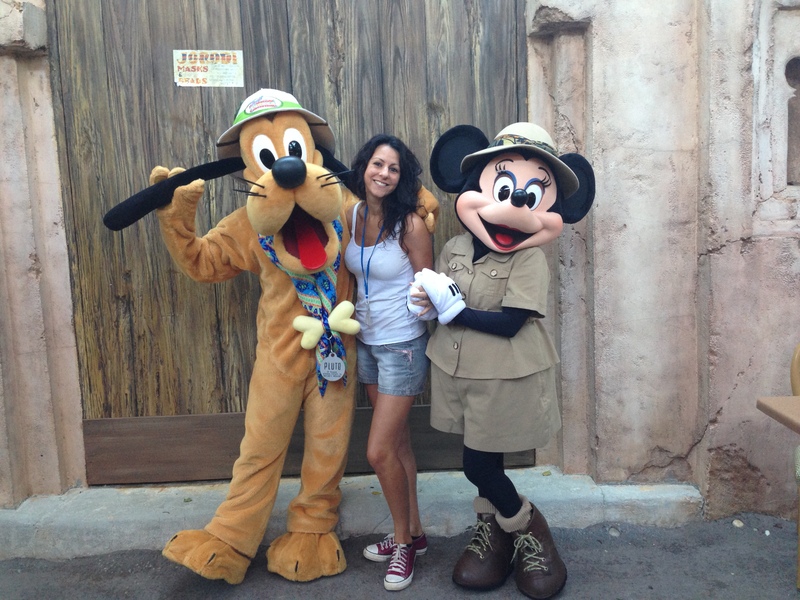 The guests usually get to choose which animal they want to meet, so for them it’s more exciting than worrying. Our porcupines are probably the most intimidating animals looks-wise, but once we show the guests what big softies they really are, people see that there’s nothing to be afraid of and jump right in! Right now you’ll get free entry to the Wild Florida Wildlife Park when you book any 2016 tickets with FloridaTix! Want to be a Keeper for the Day? 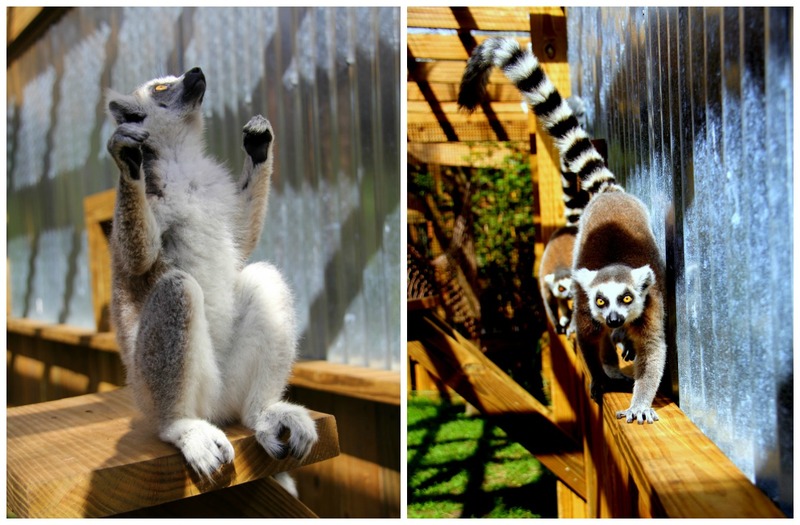 Find out more about Animal Encounters at Wild Florida.